Profile on Abel Prize Winner Robert Langland and his visionary work that connected harmonic analysis and number theory. Any Mathematician’s brilliance is exhibited by his/her exceptional theories crammed with theorems having deep insights and enticing conjectures. But the brilliance of the great Canadian mathematician Robert Langlands is his program. This short article explores the life and work of Robert Langlands. He received the most prestigious award in mathematics, Abel Prize, in 2018 due to his remarkable contributions to mathematics. The prize is awarded annually by the Norwegian Academy of Science and Letters and carries a prize money of £550,000. It is considered by many to be an equivalent of the Nobel Prize for mathematics. The mathematical legacy of Langlands revolves around his remarkable mathematical program namely: ‘The Langlands Program‘. The Langlands Program is often called a ‘grand unified theory of mathematics’. The Langlands Program started with a 17-page letter that Robert Langlands wrote at the age of 30 to the great French mathematician André Weil containing some deep theoretical ideas of finding connections between number theory and harmonic analysis that had previously been considered unrelated. Weil had the letter typed and widely circulated among mathematicians. Over the next few years, the letter provided mathematicians of new, deep and interesting problems and as more people joined the project to prove his conjectures, the enterprise came to be known as the Langlands Program. The Langlands program is a project immensely striving to connect harmonic analysis and number theory, two entirely different theories. One basic concept behind the Langlands Program is modular arithmetic, a way of doing arithmetic with a fixed set of consecutive numbers. 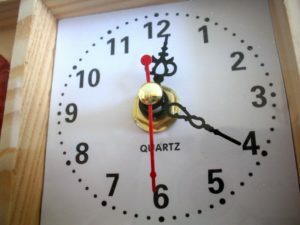 One example of modular arithmetic is the 12-hour clock, in modulo 12. If it is 7 o’clock and you add 8 hours, using normal arithmetic you would get to 15 o’clock. But there is no 15 in the 12 -hour clock! We all know that 7 o’clock plus 8 hours is 3 o’clock since once you hit 12 you start from zero again. A clock is an example of modular arithmetics in base 12. A specific example of how the Langlands Program connects number theory and harmonic analysis can be seen by considering a type of polynomial equation called an “elliptic curve” (cubic in nature, for instance, y2 = x3 – x + 1). If you take an elliptic curve and find the number of solutions it has for every modulus when the modulus is a prime number, you will generate a sequence of numbers. This sequence of numbers, however, can also be generated by a different type of mathematical object that is (very approximately) analogous to a periodic wave, and can be investigated using the tools of harmonic analysis. Harmonic analysis is a mathematical procedure for describing and analyzing the phenomena of a periodically recurrent nature. Many physical phenomena, such as sound waves, alternating electric currents, tides, and machine motions and vibrations, may be periodic in character. These periodic functions found in naturecan be expressed as the sum of many sine and cosine terms. Such a sum is known as a Fourier series and the determination of the coefficients of these terms is called harmonic analysis. The Langlands project has proven to be one of the most fascinating areas of mathematical research. Laurent Lafforgue and Ngô Bảo Châu were awarded Fields Medal for proving Langlands’ conjectures in 2002 and 2010 respectively. Mathematicians are always interested in connecting different existing theories to translate the existing problems from one area to the other, or in mathematical terms, from one category to another. This helps them devise new ways to solve these problems. The proof of long-standing Fermat’s conjecture by A. Wiles is, for example, a consequence of these translations. Therefore, the Langlands Program, due to its diverse nature has attracted many eminent mathematicians of the present time and has resulted in many literature articles, still counting. It has become one of the central projects in the mathematics of the present era and has already had an everlasting impact. 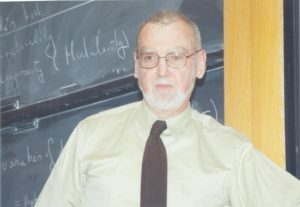 Langlands has won many awards, including the first US National Academy of Sciences Award in Mathematics in 1988 “for his extraordinary vision”. He also shared the 1996 Wolf Prize with Andrew Wiles for his “path blazing work”. Other awards included the 2005 American Mathematical Society Steele Prize, the 2006 Nemmers Prize in Mathematics and the 2007 Shaw Prize in Mathematical Sciences with Richard Taylor. At the age of 81, he continues to work at the Institute for Advanced Study, where he is now an Emeritus Professor, and occupies an office that once belonged to Albert Einstein.